At one stage this year all that American Brooks Koepka yearned for was to be able to play golf again. In fact winning two majors would have been the last thing on his mind. An injured left wrist had him wondering where he was heading this year. And at one stage he admits he was almost crying in pain. He tried stem-cell treatment and platelet-rich plasma injections…and spent about four months on the sidelines. Then a visit to a local chiropractor changed everything when he was found to have a dislocated wrist. “So he popped it back in – and then we were off and running,” said Koepka, who has been named the PGA Tour’s Player of the Year. 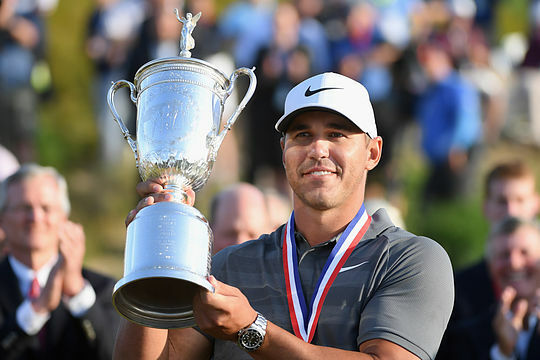 Just eight days after that treatment Koepka returned to tournament action and went on to win two 2018 majors, including defending his US Open title and then finished it off by ending up in the top 10 after the FedEx Cup playoffs. “[It’s been] the lowest of lows and the highest of highs,” was how the big-hitting 28-year-old Koepka described his season. In fact the great Jack Nicklaus described Koepka as ‘calm, collected and confident’. Is there a better compliment? “Actually most people don’t know the real me, my life off the golf course,” said Koepka.